A 74th minute goal by Arsenal’s Alex Iwobi was all Nigeria needed to confirm their place at Russia 2018. 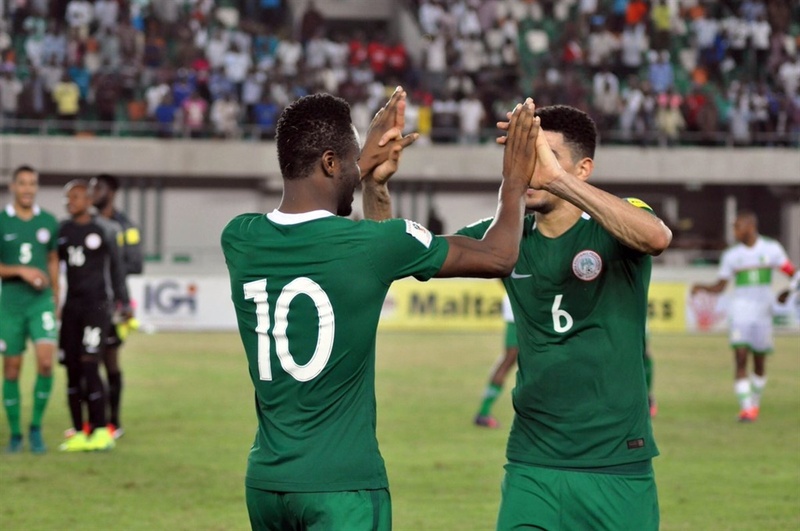 Nigeria’s Super Eagles on Saturday defeated Zambia 1-0 to seal a ticket to the 2018 FIFA World Cup. A 74th minute goal by Arsenal’s Alex Iwobi was all Nigeria needed to confirm their place at the competition. An entertaining first half saw Zambia’s goal ruled offside, while captain John Obi Mikel, Odion Ighalo and Moses Simon missed great chances. Ogenyi Onazi was taken off in the 30th minute and replaced with Mikel Agu due to injury concerns. As the first half winds down, Nigeria was close to taking the lead, when Odion Ighalo did well to dribble inside the Zambians’ danger area and located Moses Simon, only for his acrobatic effort to go wide. Super Eagles started the second half rather slowly, but grew into the game. Nigeria broke the deadlock in the 74th minute when Shehu Abdulahi’s cross, off a Victor Moses pass, met substitute Alex Iwobi, who’s shot beat goalkeeper Kennedy Mwenee. Ola Aina then made his international debut for Nigeria, coming in for injured Elderson Echiejile with ten minutes remaining. Nigeria had a chance to make it two at the stroke of 90 minutes, but Victor Moses could not get his foot to an Abdulahi cross. It could be recalled that Iwobi scored one of Nigeria's goals in a 2-1 win over Zambia in the reverse fixture. Nigeria is now the first African country to qualify for the 2018 FIFA World Cup in Russia.